EXPERTS IN PRINTING FOR OVER 25 YEARS! From concept to completion SPEEDBOLT Printing Solutions is your one stop shop for quality custom printing products and services. Our company has proudly served the Lower Mainland for over 25 years and is a complete digital, press and bindery facility. Contact us today and our professional and knowledgeable team will help you find the best solutions for all your printing needs. With our modern, well equipped digital and offset printing facility and our experienced professional staff we confidently offer solutions and quick results for all your special printing needs. Please visit our Services, Products and Idea Centre pages for a scope of some of the services and products that we offer. Call us and speak with our friendly staff who will gladly answer any of your printing related questions and help you find the best solution for your specific printing requirements. In order to serve you better, we offer FREE pick up and delivery of proofs and finished products to your door. We service daily: Vancouver, North Vancouver, West Vancouver, Burnaby, Richmond, Surrey, Langley, Delta, Coquitlam, Port Coquitlam, Port Moody, Squamish and Whistler. We will take time to listen to all your questions. We will come and see you to answer further enquiries. We will provide you with designs, proofs, paper samples, ink colour choices all in a genuine effort to help you get exactly what you are looking for. So, whether over the phone or in person we’ll give you answers, options and pricing all in a timely fashion to meet your needs. Use our expertise to your advantage. You will be happy with your choice. You’re in good hands with SPEEDBOLT Printing Solutions. 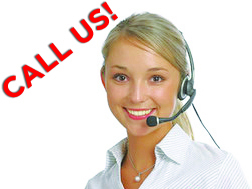 Please call us, we’re here for you!